The New York Post offers a piece on the FBI luring mobsters to a gangland dinner. They’d gladly pick up that tab again. The FBI spent $25,000 to lure 20 wiseguys to a gangland “Last Supper” — complete with a mob turncoat in the role of Judas — and later arrested them all. FBI Special Agent William Inzerillo revealed the spaghetti setup Wednesday under cross-examination at the racketeering trial of reputed Philadelphia mob boss Joseph “Skinny Joey” Merlino, who was among the hoods that stuffed their faces at the “Cosa Nostra Christmas party” in The Bronx. “We supplied the money. We paid for the party. Over 20 people attended the party, and we paid for all of them,” Inzerillo testified in Manhattan federal court. 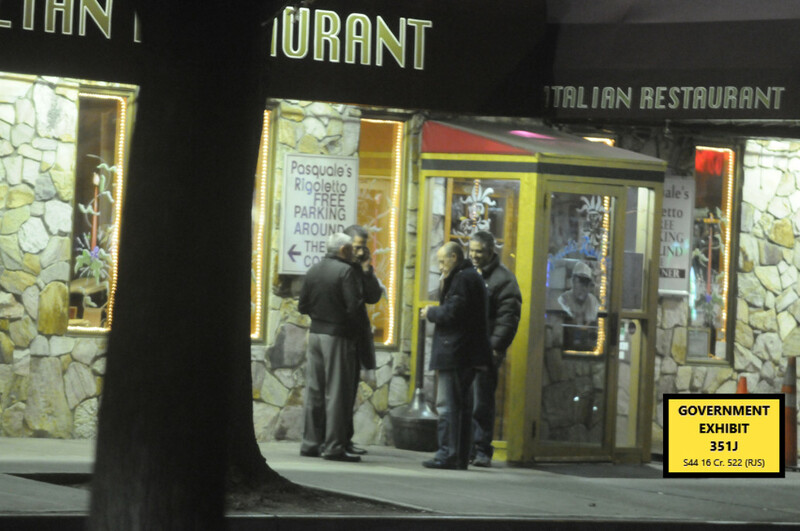 Nearly all of the mafiosi who gorged themselves on such house specialties as gnocchi Bolognese and fettuccine matriciana at Pasquale’s Rigoletto on Arthur Avenue later got busted during a massive roundup of 46 mobsters in 2016, a source familiar with the case told The Post. They included the eatery’s namesake owner, reputed Genovese crime-family capo Pasquale “Patsy” Parrello, Merlino and reputed acting Genovese capo Eugene “Rooster” O’Nofrio. The Dec. 8, 2014, bash marked the only time the trio — who the feds say were key figures in a massive, multi-crime-family racketeering scheme — were together during the feds’ five-year investigation.